The flag of the Danish Autonomous Country of Faroe Islands consists of a red Nordic Cross with a blue border on a white background. 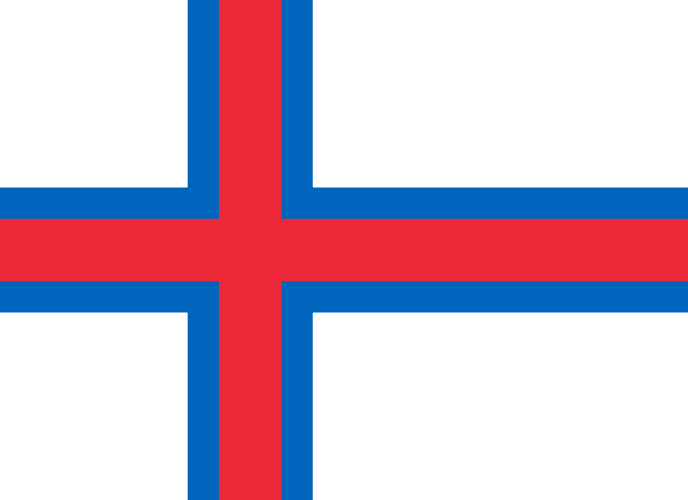 White represents the foam of the sea and the sky, blue and red represent the island’s connection to other Scandinavian and Nordic countries, and the cross represents Christianity. This flag was adopted on April 25th, 1940.